Solo was a film that I never thought to ask for, but went in hoping for a fun summer popcorn movie. After the heaviness of both Rogue One and The Last Jedi, I was ready for a more lighthearted film with lower stakes that weren’t about the fate of the entire galaxy. And for the most part I got exactly that; it was fun, there was good cast chemistry, and it added to the world of the Star Wars franchise without trying to outdo the films and stories that came before it. But though I had a smile on my face for most of the movie, I cannot truly say that I loved it. Because it was also a movie that sharply reminded me that people like myself are generally not the ones making creative decisions in this franchise. Solo, like so many Star Wars works that came before it, is one that was so clearly (painfully clearly) written by men. The treatment of two of the female characters in particular show the blindspots that come when you’ve never had to think about what representation means to you on a personal level. That doesn’t make it an irredeemably bad movie, or make them bad people, but it shows the limitations that result when you are used to seeing yourself, day in and day out, on screen and behind the scenes and don’t understand how much it means to finally have a character who looks and acts like you. And it’s for that reason that I cannot say that I love this movie. Like with many things in pop culture, it’s one that I like…with reservations. And with Solo, that reservation is: this movie really let down its women. It’s no secret that when it comes to Star Wars, Dave Filoni is not shy about putting the “fantasy” in “space fantasy”. Between the numerous Tolkien allusions to interviews discussing his love of Miyazaki, Filoni has always placed a high importance on the fantasy elements of the Star Wars universe—namely, the Force. 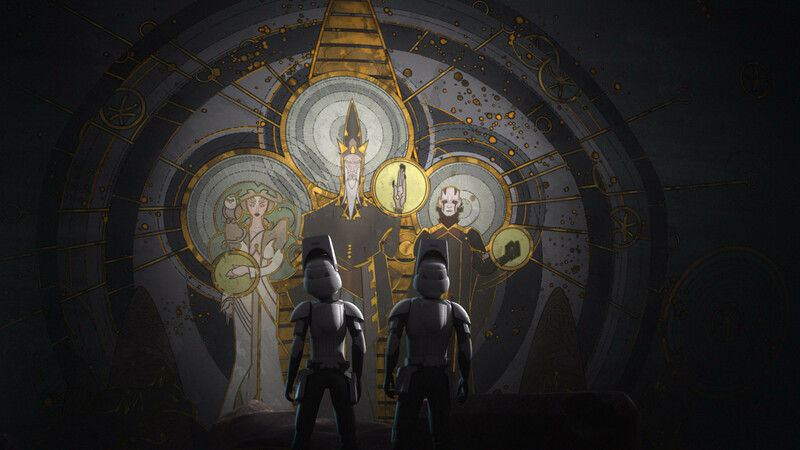 Both The Clone Wars and Rebels were not afraid to mix the more standard military stories with highly fantastical detours to strange and bizarre worlds that seemed to upend everything we knew about the Force. And it’s therefore generally met by the fandom with a not-insignificant amount of skeptical eyebrow raises. 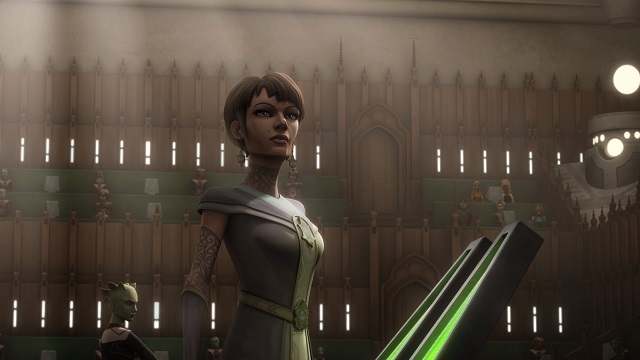 While Yoda’s encounter with the five Force priestesses in the TCW Lost Missions was more or less well-received, the Mortis arc was firmly a “love it or hate it” storyline in the fandom, and Ezra’s experience in the portal universe is looking to be similarly divisive. It’s weird and confusing and doesn’t make a lot of sense at first blush…but I’d argue that’s exactly why Dave Filoni has the best approach when it comes to depicting the Force. This seems a sharp contrast to the bright, shining figure we see in the original trilogy. Luke had hardships and made decisions that backfired on him, but he was never one to run away from a problem. So at first glance this seems like a long string of extremely out of character moments meant to create drama and difficulty for Rey and Kylo. 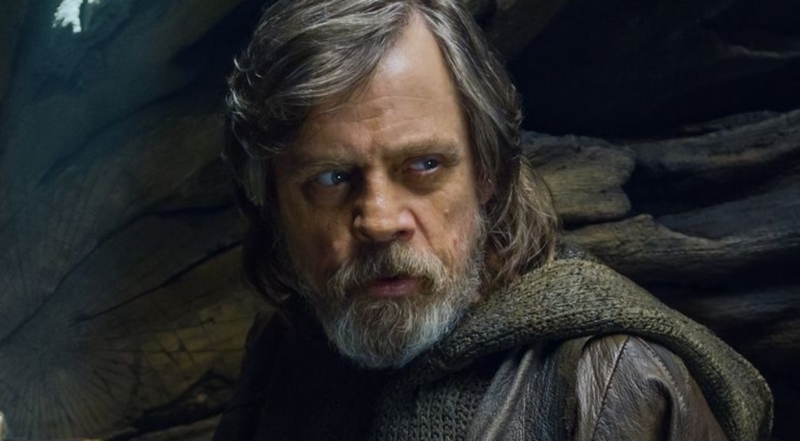 However, when taking a deeper look at Luke’s character and personality in the original trilogy, his circumstances in TLJ are a natural extension of his character. » Read more..